Is it time for an eternity ring? You are here: Home » Custom Jewellery » Is it time for an eternity ring? One of the most popular trends in bridal jewellery is to compliment an engagement ring with other bands. 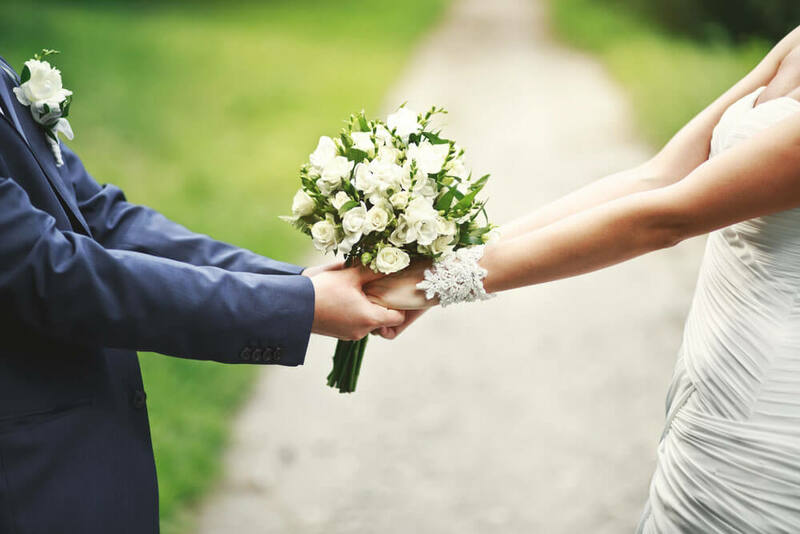 We see this all the time, with the most common example being a wedding band that is received on the big day as a symbol of two people coming together. 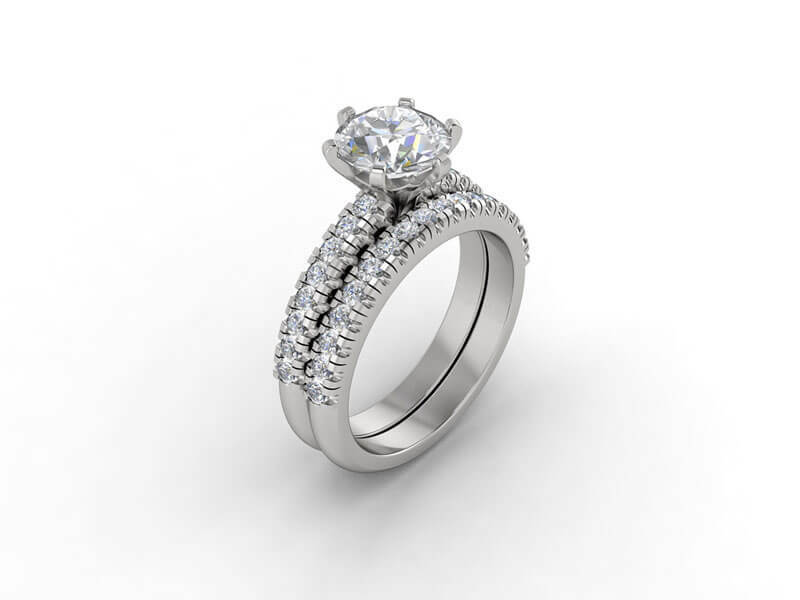 However, for a more perfect balance, many partners also get their significant other a third ring, creating a stunning ‘trio’ of bridal jewellery. This third ring is commonly referred to as an ‘eternity ring,’ and in this article we’ll take a closer look at what these look like and when they should be given. Smaller diamonds are by far the most common choice for eternity rings, and these typically form either a ‘half’ or a ‘full’ circle. An eternity ring is quite similar to a wedding band in a lot of ways, but is often a little bit more detailed and elaborate. It’s almost always a relatively simple circular shape which represents the endlessness of a long and happy relationship. In terms of stones, smaller diamonds are by far the most popular choice for eternity rings, and these typically form either a ‘half’ or a ‘full’ circle around the band. Custom made eternity rings are very popular, as they need to fit the existing style of the engagement and wedding rings. The three bands need to work as a complete set, and you need to think very carefully about how they will look when worn at once. A custom eternity band can perfectly compliment your engagement ring. When to give an eternity ring? In the past, an eternity ring was usually given on an important anniversary. This could be 10 or even 20 years, but in recent times it has become common for an eternity ring to be given much earlier, often in the first year of marriage or at the one year anniversary. The meaning of an eternity ring is endless love, so it makes a lot of sense for these pieces of jewellery to be given once a couple has settled into married life. Another time where people give eternity rings is after the birth of a child. In most cases, this will be the first child, and in some parts of the world the term ‘maternity ring’ is used instead. In any scenario, complimenting an existing set of bridal jewellery can be a perfect gift on a special occasion or at a significant milestone. 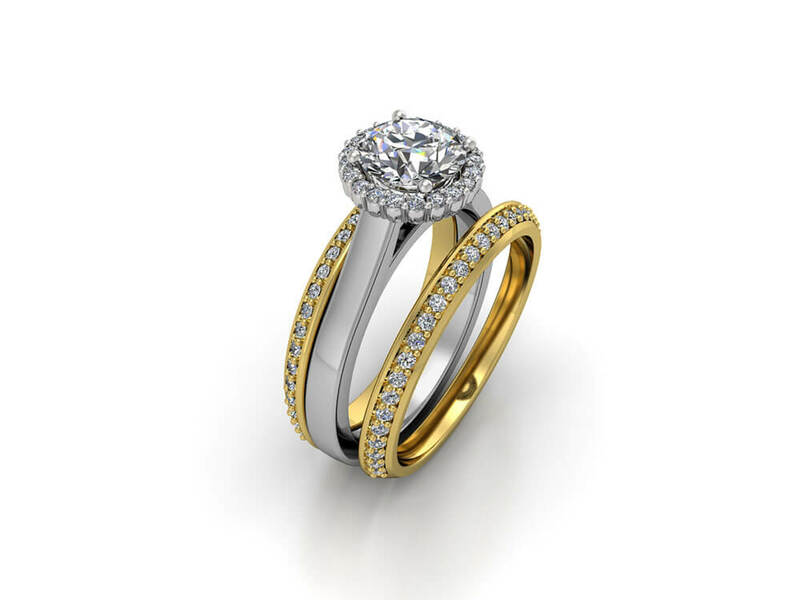 Get in touch with Joseph George today and talk to us about the perfect eternity ring.